Last season, Notre Dame entered the year with a serious quarterback quandary. Veteran quarterback Everett Golson had led the Irish to plenty of wins in his career, but slumped mightily in the second half of 2014. An impressive bowl showing by his backup, Malik Zaire, seemed to indicate that Zaire was the future at the position. That was further confirmed when Golson announced he would transfer, ending his college career at Florida State. Zaire put on a show in his debut, against Texas, and the Irish dominated. However, in his second start, Notre Dame got all they could handle from Virginia and Zaire broke his ankle, effectively ending his season before it really began. His backup, redshirt freshman DeShone Kizer did an admirable job in his absence. Despite playing some great defenses, Kizer threw for 2,884 yards and 21 touchdowns. Now, the quarterback question begins again: should ND go with Kizer, a rising sophomore who has superstar potential, or Zaire, who is 4-0 as a starter? The competition could mean the difference between Playoff berth or not in South Bend. Backfield: Stats don't do what Kizer did in Zaire's absence enough justice. Despite being extremely young and facing an offense that was also hit by other injuries, Kizer posted strong numbers but also showed wonderful poise despite his youth. Although it came in a loss, his performance against Clemson earlier in the year showed what he could do. Dueling with eventual Heisman Trophy finalist Deshaun Watson in what was literally a hurricane, Kizer nearly led ND on a miraculous comeback against the eventual National Runner-Ups. Kizer's arm strength, big frame and athleticism are all special, and he should cut down on his turnovers this season (10 in 2015). Zaire has his strengths as well; he may not have the arm strength of Kizer, but he is a better runner and has also proven himself to be a great leader. There is a chance Brian Kelly could use both this season, in different packages. However, he will be careful not to do what Ohio State did last season, switching between the two too often and ruining momentum. If I had to put my money on one, it would have to be Kizer. He rallied the locker room last season, and has a higher ceiling than Zaire. 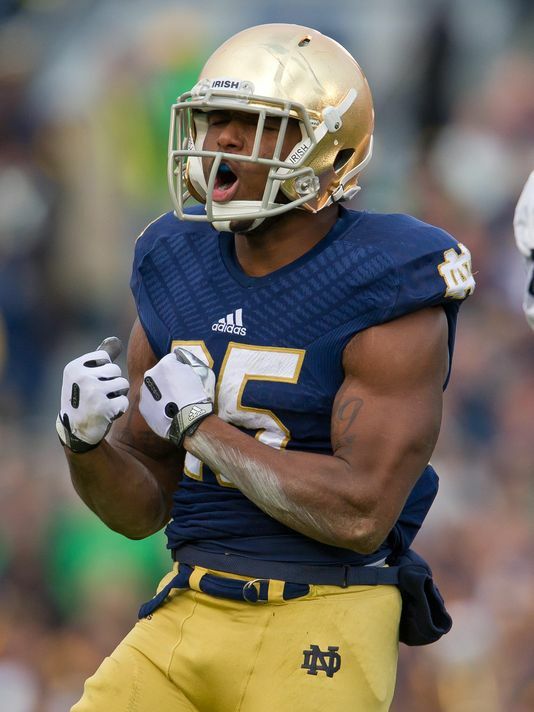 The Irish have a similar situation at running back, even as C.J. Prosise departs. Prosise came in when feature back Tarean Folston was also lost for the year, and was wonderful. 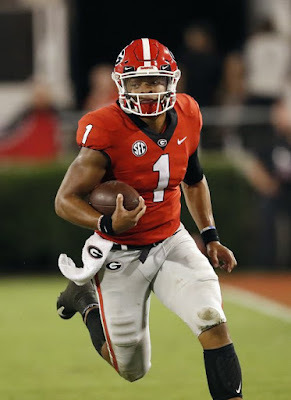 Despite the fact it was his first time ever playing full-time running back, Prosise ran for 1,029 yards and 11 scores, while averaging 6.6 yards per carry. Folston is back healthy, and he has proven he can handle the load. Folston had 889 yards back in 2014 when he was fully healthy, including four 100-yard performances at the end of the year. He will certainly play a major role, but may also be overtaken by a rising sophomore. Josh Adams was superb last season as a change-of-pace for Prosise, who wasn't healthy at the end of the season. Adams rushed for 838 yards and six touchdowns, showcasing impressive speed and vision. What was most impressive about Adams is that he consistently picked up huge chunks of yardage, evidenced by his wonderful 7.2 yards per attempt in '15. Possibly becoming the No. 1 back, Adams yards per attempt will most likely slip with more usage, but he could put together a huge year and is an intriguing dark horse Heisman threat. Notre Dame will also turn to another sophomore, Dexter Williams, in different situations. Williams ran for just 81 yards on 21 carries last year, but has wonderful upside. Receivers: The Notre Dame receiver corps took some major lumps this off-season. First, leading receiver Will Fuller, among the most dynamic weapons in the entire nation, made a relatively surprising jump to the NFL a year early. Fuller will take his wonderful burst and explosiveness to the next level, along with his 1,258 yards on 62 receptions. Making things worse for the Irish was the loss of Corey Robinson just a few months ago. Robinson, who was looking forward to a healthy senior season, announced his retirement from football, citing concussion concerns. Robinson is the son of NBA legend David Robinson, and had showcased his amazing potential on countless occasions, like his three-touchdown performance against Florida State in '14. Those losses leave ND scrambling for answers at the position, but the cupboard is far from bare. Torii Hunter Jr. returns, and looks like he may be leaned on as their top option in the passing game. Hunter has great speed and agility, and did have 28 catches and 363 yards last season. Unfortunately, Hunter has struggled with drops at times in his career, something he'll obviously look to iron out this year. Sophomore Equanimeous St. Brown has a wonderful name, but will have to show he belongs. He had just one catch all of last season, but was a deep reserve, so it is understandable. He has okay speed, but also brings much more athleticism and size to the equation. Beyond those two, even more inexperience abounds. Sophomore Corey Holmes and sophomore C.J. Sanders are two of a number of pieces fighting for increased roles. Sanders at least got in the stat sheet, with one reception last season, while Holmes is extremely unproven. 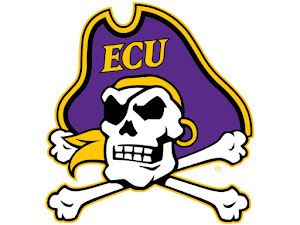 The lack of depth and proven commodities at receiver will put more pressure on the starting quarterback and also the backs to step up out of the backfield (Adams had seven catches for 42 yards a year ago). Notre Dame has produced some wonderful talent at tight end over the years, with guys like Kyle Rudolph and Tyler Eifert emerging from their ranks and making waves in the NFL. The Irish look like they've zeroed in on their next star at the position, as sophomore Alize Jones has wonderful potential. He recorded 13 catches for 190 yards last season, but that was with splitting snaps with Chase Hounshell, who is gone. Jones was a First-Team All-Independent last season, and he'll hope to build on that by becoming a better option in the red zone. Junior Durham Smythe is once again healthy and brings a solid blocker and decent pass-catcher. Offensive Line: While the receiver corps has some serious questions, the offensive line may have even bigger problems, although there is at least one proven piece. The unit is going to be without NFL first-rounder Ronnie Stanley at tackle, along with anchor Nick Martin at center. Stanley is certainly a major loss, as the massive tackle was a beast last year. Martin, however, may be even harder to overcome, as the seasoned veteran was as consistent and disciplined as they come. The loss of those two key pieces should make junior Mike McGlinchey much more important. McGlinchey came into his own last season, starting 13 games at right tackle and displaying wonderful ferocity and power. Notre Dame may ask McGlinchey to make a transition to the left tackle position, but that shouldn't be too hard for the veteran. McGlinchey's harder transition will be going from a pretty young player to an important leader on the O-Line, and ND will ask a lot from him. ND will also ask a lot from sophomore Quenton Nelson, the other returning starter to the group. Nelson was very young last season, but showed he could hold his own. He is a terrific run blocker, and will open up big lanes for Adams and Folston to work with. He was a Second-Team All-Independent last season, but should be even better in '16. The other guard spot should likely go to junior Colin McGovern, who isn't a returning starter, but at least has some experience. McGovern appeared in eight games last season, and showed decent mobility. At right tackle, expect sophomore Alex Bars to get a good shot to start. Bars has the size and upside to make the position a strength, but he has to stay healthy this season. The center position could very well be the biggest issue, as a number of players will compete to fill the void left by Martin. Sophomore Sam Mustipher and redshirt freshman Tristen Hoge are the two favorites. The Irish are hoping for big things in the near future from a couple of their newcomers, particularly four-star linemen Liam Eichenburg from Cleveland. Defensive Line: The Irish were also hit pretty hard on the defensive line by graduation, as they lost two great defenders in Romeo Okwara and Sheldon Day. Okwara led the team in sacks a season ago, racking up nine at the defensive end position, while Day proved to be a disruptive presence as well, with 15.5 tackles for loss. The Irish may be without those two, but they still have a group of solid defenders back, headed by senior Isaac Rochell. Rochell is a proven run defender, with 61 tackles a season ago. He isn't as great of a pass rusher as Okwara, but still finds a way to make plays, thanks to incredible instincts and power. The end spot left by Okwara is likely going to be handed down to junior Andrew Trumbetti, who has good experience. Trumbetti recorded 16 tackles in 2015, and also helped in a unique way: bringing a touchdown back 28 yards to the house on an interception. He doesn't have much explosiveness but is a gritty defender that should put together a strong campaign. The Irish will obviously miss Day, but there is reason to believe they could be even improved in the interior of the unit. Senior Jarron Jones has flashed his great potential on numerous occasions, but is still yet to put it all together. Jones missed all of last season with a torn ACL, but will be eager to prove he can return to his '14 form, when he had 7.5 tackles for loss. Joining Jones in the middle will be junior Daniel Cage. Cage is short and stout but still attacks defenses. He proved he could get into the backfield and finish off plays, with four tackles for loss last season. He was awfully young last season (forced into an increased role with the injury to Jones) but showed he could hold his own, even against some teams with great offensive lines. The Irish possess a good amount of depth throughout the unit, highlighted by valuable reserves like junior defensive end Grant Blankenship, along with sophomore Jay Hayes, who redshirted last season. Also returning, likely in a reserve role, is sophomore Jerry Tillery. Tillery was a highly touted recruit a season ago, and showed he could make plays. He doesn't have the experience of Jones or Cage, but has major upside, and the Irish coaching staff will likely experiment with him more this season. Linebackers: Life after Jaylon Smith begins for the Irish defense, particularly the linebacker corps. Smith was among the most versatile and best defenders in the entire nation, racking up 115 tackles, nine tackles for loss and five pass breakups. Smith was already set to graduate and depart before suffering a horrific knee injury in the team's Fiesta Bowl loss. The injury severely hurt his promising NFL Draft stock and many experts claimed him as one of the Draft's best players even though he fell to Round 2. Also gone in the unit is the solid Joe Schmidt, who wasn't quite the player Smith was, but still was a quality run defender. That leaves ND scrambling for some answers at the position; expect them to lean heavily on James Onwualu, their only returning starter in the unit. Onwaulu is a versatile defender off the edge that can so many things well, and he picked up 38 tackles and six tackles for loss last year. He has displayed great pass rushing abilities off the edge, with three sacks a year ago, and Notre Dame will look for him to do that even more, with the losses of Okwara and Day. Onwaulu is set to lock down one outside linebacker spot, but the other one is up for grabs. Sophomore Te'Von Coney, redshirt freshman Asmar Bilal and newcomer Jamir Jones are going to fight for the starting spot. Coney has shown some flashes in his Irish career but still is learning, while the Irish are thinking big for Bilal. Bilal was the Scout Team's Defensive Player of the Year in '15, but adjusting to a starting gig in big-time college football is obviously a different animal. Jones is a three-star pickup from Rochester, New York, who has an abundance of upside. The middle linebacker slot may undergo a change in leadership, but junior Nyles Morgan should be up for the challenge. Morgan had 47 tackles as a true freshman back in 2014, but didn't get the snaps he needed last season and his production plummeted. Without a whole lot of competition at inside 'backer, Morgan should put together a much stronger 2016. Junior Greer Martini is also going to find a way on to the field, as he brings some veteran experience. Martini had 35 tackles a year ago, and has proven he can be a major asset in run support. 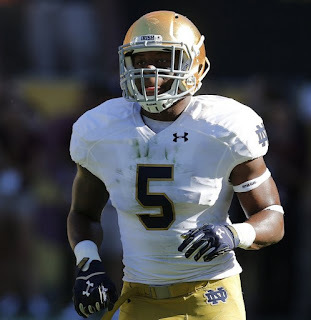 Secondary: Much like the defensive line and linebackers, Notre Dame's secondary will have to endure some losses, although it could still end up being a considerable strength. The Irish will be without ball hawking cornerback KeiVarae Russell along with safety Elijah Shumate, but it isn't the end of the world. Russell had two interceptions and 4 pass deflections despite missing two games with injury, but was inconsistent at times. Shumate was third on the Irish last season, with 70 tackles but could have a replacement in the wings. Shumate's strong safety position could fall to senior Avery Sebastian, a former Cal transfer that can also play cornerback. Sebastian had some injury problems (like so much of this ND team had) last year but still flashed his superb athleticism and hard-hitting ability. He will be joined in the back by the player who could end up being Notre Dame's best defender this season, senior Max Redfield. Redfield has an excellent feel for the game and while he may not be the quickest player on the field, relies on that to make plays. He recorded 64 tackles last season, which was down from his 68 in '14. With the losses the rest of the defense suffers, expect those numbers to increase in a big way, as ND will lean heavily on his tackling ability. At cornerback, senior Cole Luke will likely replace Russell as the team's top cover option. Luke has proven on countless occasions that he can shut down some elite receivers, and his 11 pass breakups two years were the most at ND since 2008. Joining him will be a player that isn't technically a returning starter but has plenty of experience, junior Nick Watkins. Watkins has good size and a strong frame to match up against some larger receivers. Another player to watch in the defensive backfield has to be sophomore safety Drue Tranquill. Tranquill earned Newcomer of the Year honors before a torn ACL sidelined him. While Sebastian will play a much larger role, Tranquill will still find a way to make plays. Special Teams: Notre Dame could have a great special teams unit this season. Sophomore kicker Justin Yoon returns after knocking down 15 for 17 field goals despite being extremely young. Rock-solid punter Tyler Newsome is also back for his sophomore campaign. The return game is led by sophomore C.J. Sanders, who should handle both kick and punt return duties. Considering all the injuries and adversity Notre Dame faced last season to finish off 10-3 and make a major bowl like the Fiesta is a testament to how good of a coach Brian Kelly is and how well he recruits (which, granted, isn't super hard at a place like ND). Notre Dame will hope to be fully healthy this season, but even if they aren't completely the roster has great depth and some promising young talent. The key will be at the skill positions: will Kizer be back to lead the charge or will the staff stick with Zaire? Can Josh Adams really take the next step as a running back? Who is going to step up at receiver? Those questions will have to be answered, but no matter what, the Irish are still undeniably talented. Schedule-wise, Notre Dame gets it much easier this year than year's past, with dates with a number of softer ACC teams (NC State, Syracuse, Duke) and many of their tougher teams rebuilding or figuring things out (Michigan State, Texas, USC). That could only help back up the fact that the Irish are a legitimate Playoff contender, and a very scary team entering 2016.